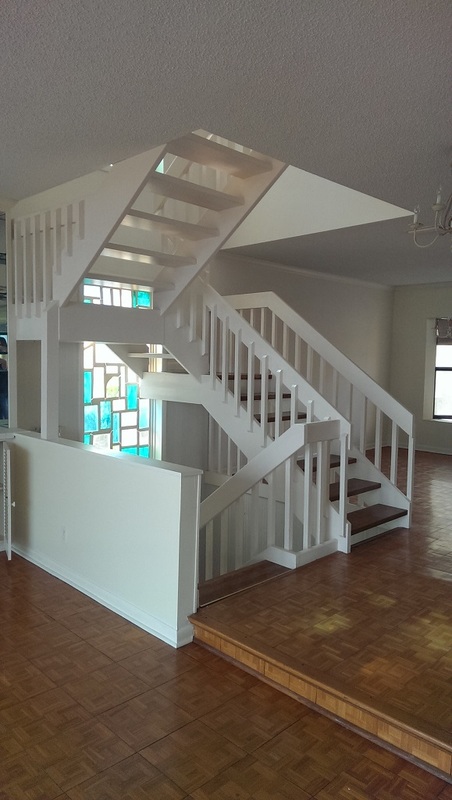 The homeowners of this beautiful waterfront property in Juno Beach were looking to renovate their out dated beach-side town-home. 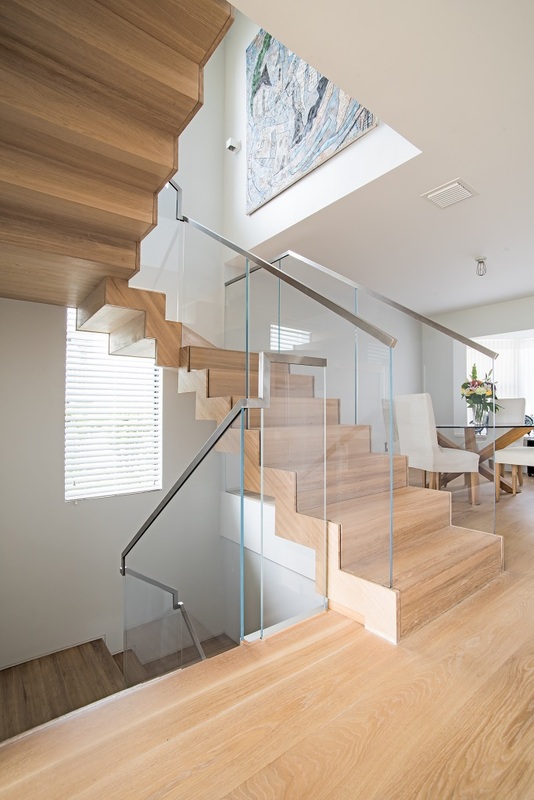 Our beautifully designed floating staircase was the perfect choice to transform this three story town-home from dull to a bright and beachy feel. 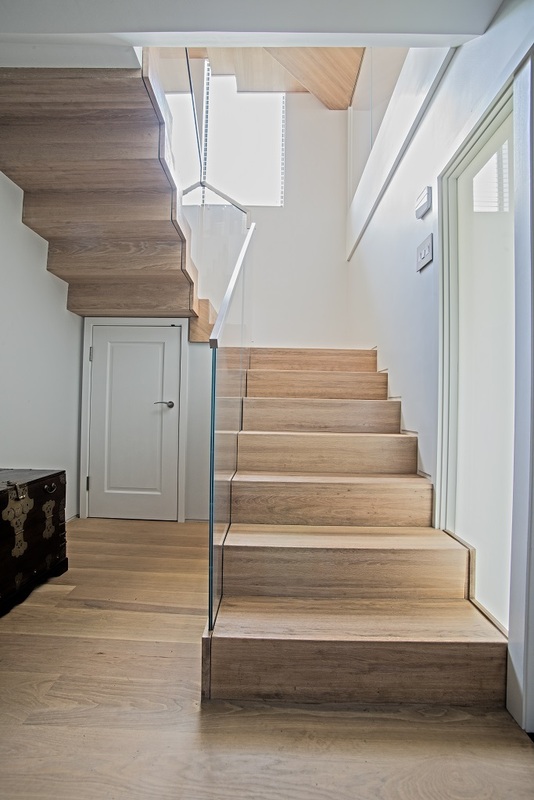 Starting on the first level, a much needed storage closet was included under the first staircase to maximize usable space. 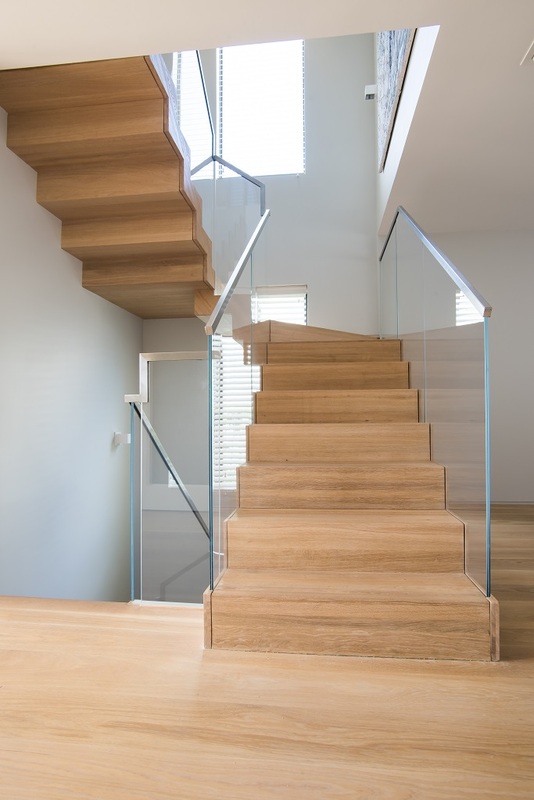 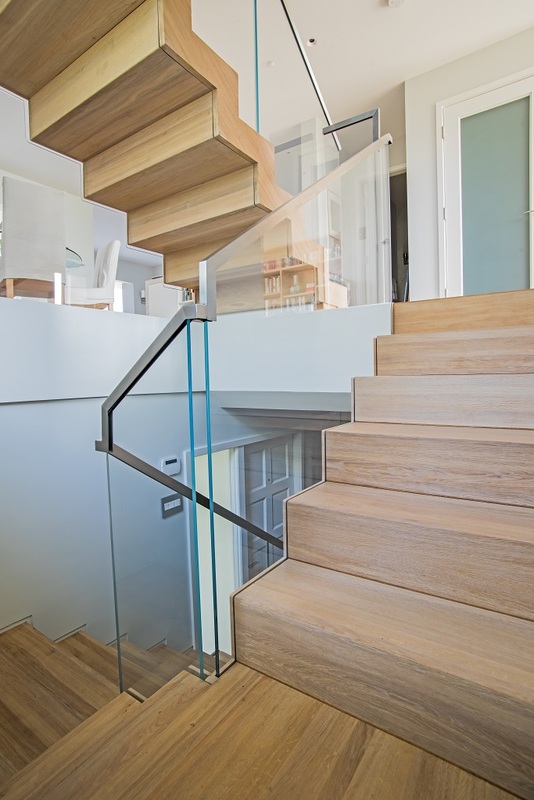 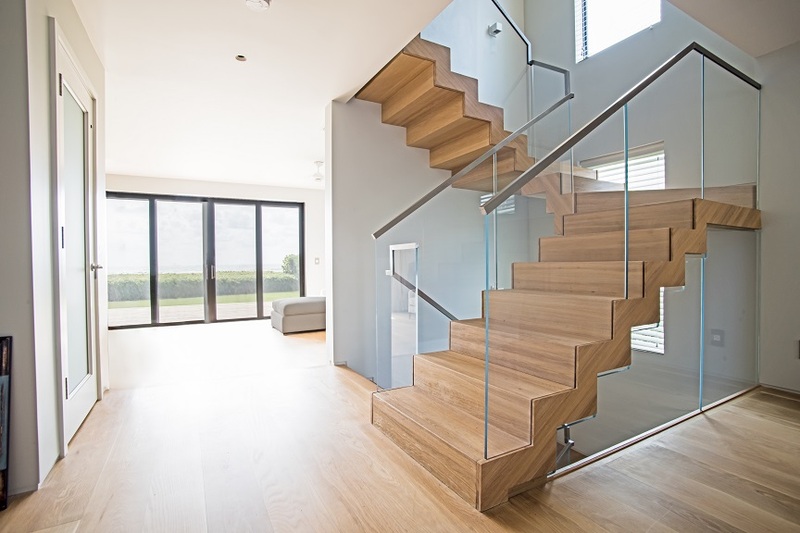 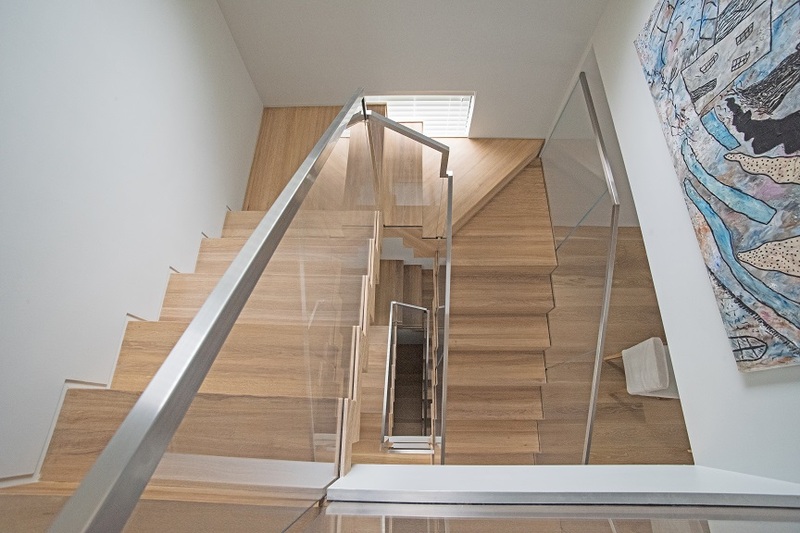 As you ascend up the white oak treads, you are met with starphire glass railings along the staircase, and a top mounted stainless steel cap rail. 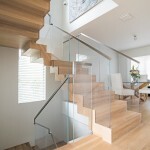 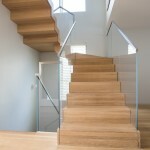 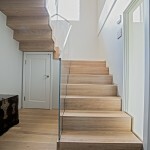 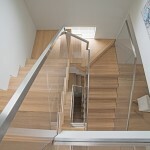 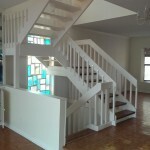 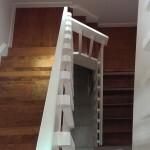 The glass railings were side mounted, then covered with white oak cladding to match the treads. 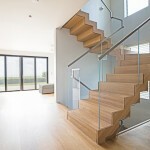 The glass railings continue up to the third level guardrail. 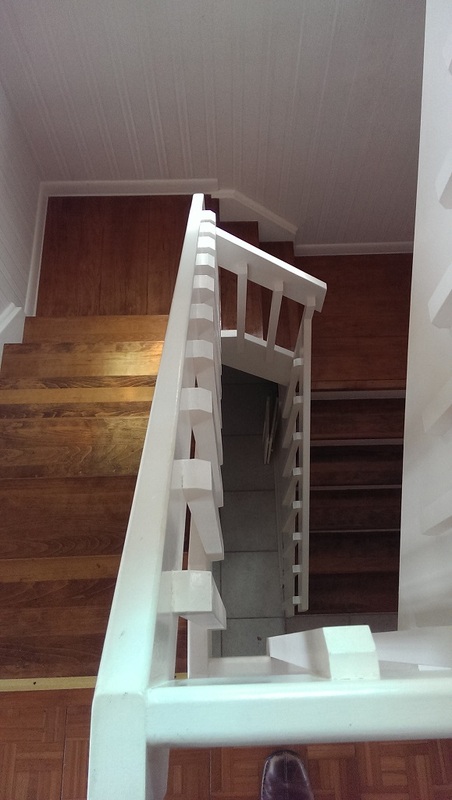 The Before and after photographs speak for themselves. 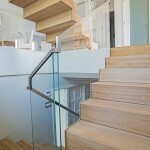 Another successful collaboration for Bella Stairs with our new friends at Worth Builders of Palm Beach!